NEW! 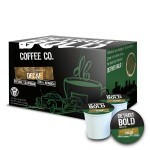 Decaf single-serve cups - Detroit Bold Coffee Co. Introducing Detroit Bold’s Cafe Signature Decaf single-serve cups! Coming to a Kroger near you! Buy Online.